Over the December holidays, I finally had a chance (it took me awhile) to try out the much talked about Burger’s Priest. 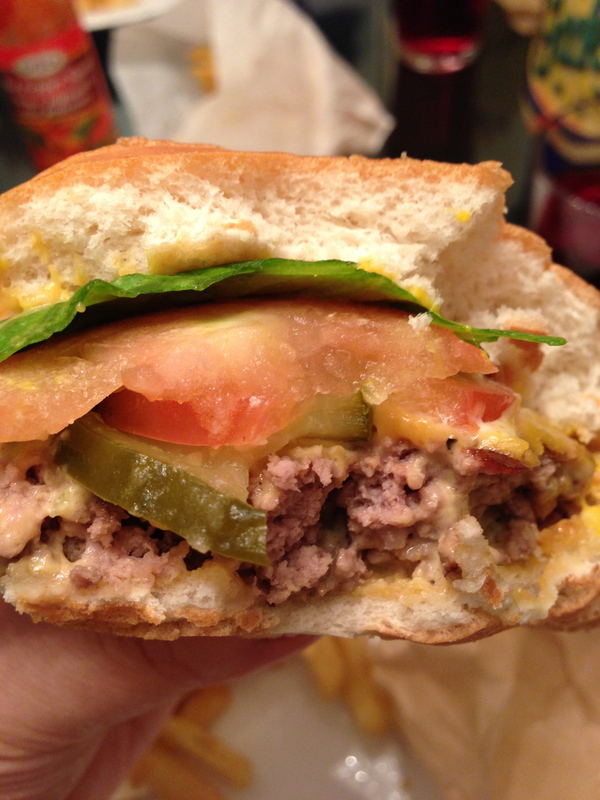 The Burger’s Priest lovers are not going to like what I’m about to say but my order of the classic cheeseburger really reminded me of “In-N-Out Burger“. 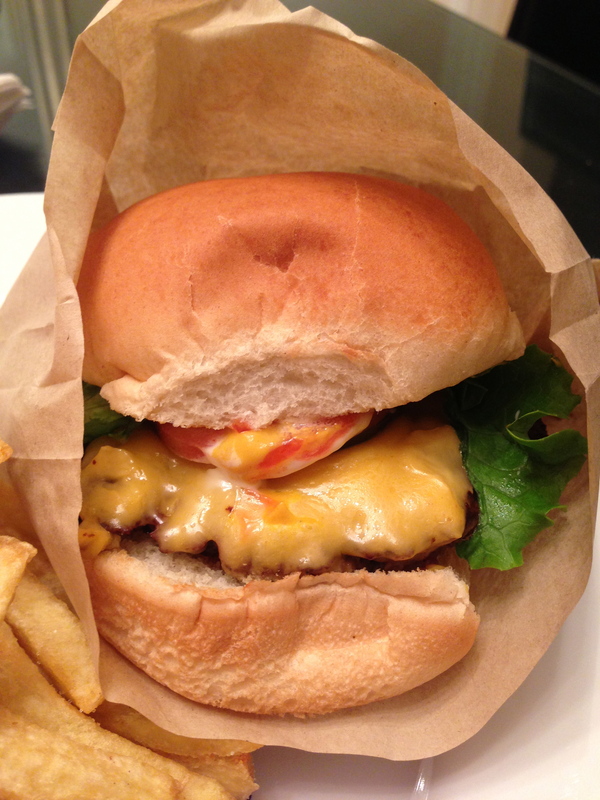 Everything from the soft bun, fresh toppings of lettuce, tomato, pickle and packaged in a paper bag. 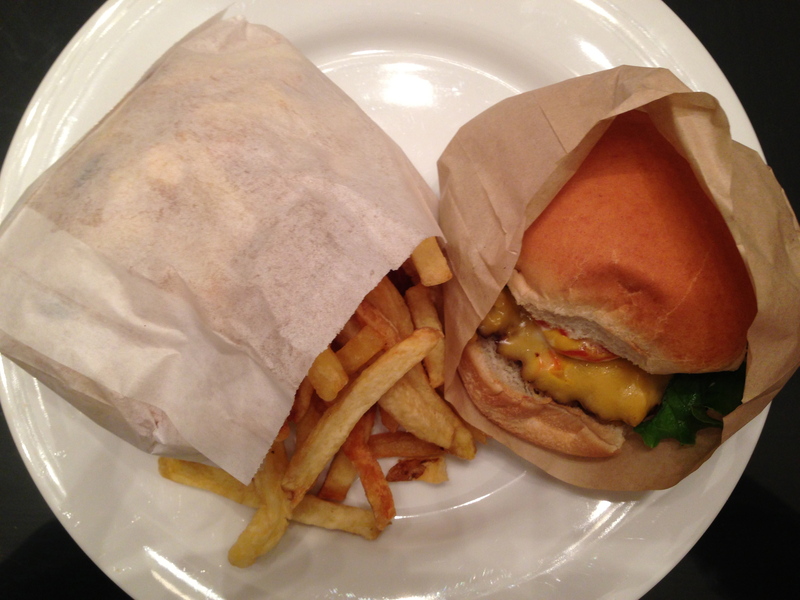 The only difference, and pretty big one, is the better quality meat and the fries – I really did love the fries. I don’t know what oil they use but they were crisp and so tasty. 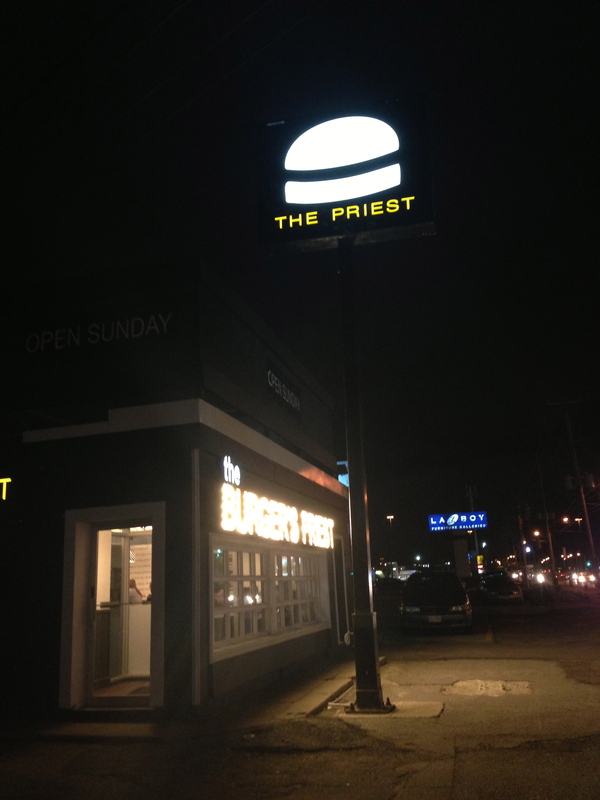 The Priest even has a secret menu – I’d go back just to try the blue steel cheeseburger. 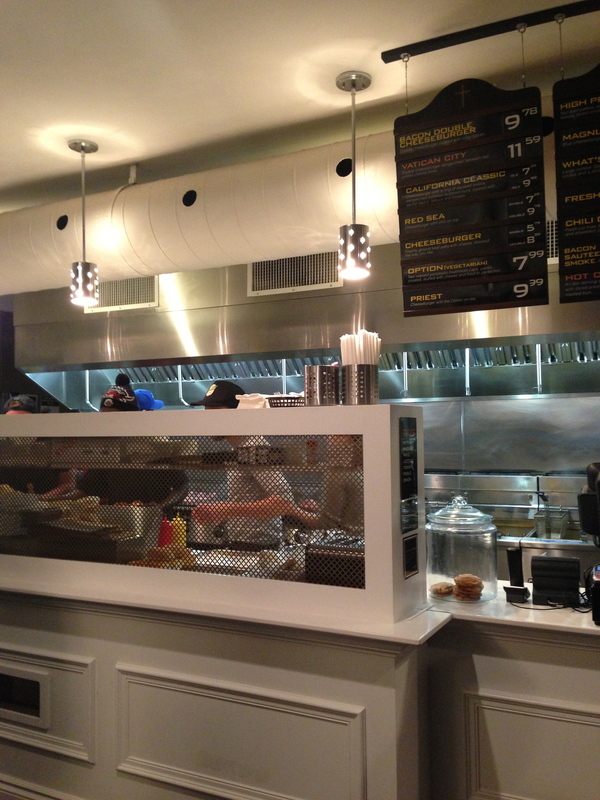 Inside the most recent outpost of the Burger’s Priest. 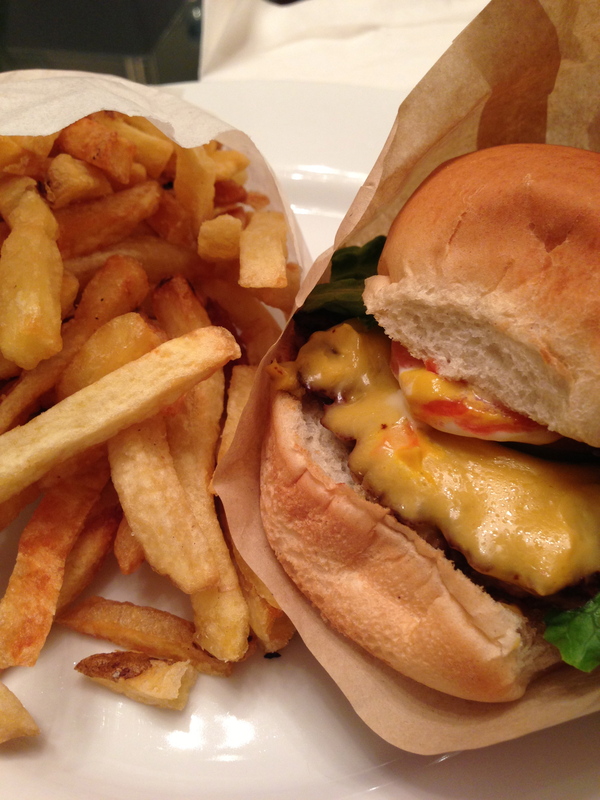 My order – the classic cheeseburger and fries. The many layers of the Priest cheeseburger.